Fluidizing dryer can utilize nitrogen as the carrier, which can effectively prevent oxidation and keep the original fragrance and protein component. Fluidizing dryer is designed and manufactured for drying powdery or granular materials in the pharmaceutical, health care products, food, chemical and other industries. 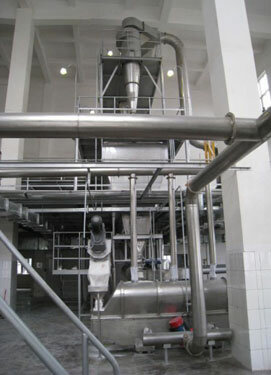 Vanillin drying production is an example of application of fluidized drying machine in chemical industry. Vanillin, also called vanilline, is a broadly used edible spice. It is widely used in seasoning food such as cakes, cold drink, chocolate and sweets. 1. 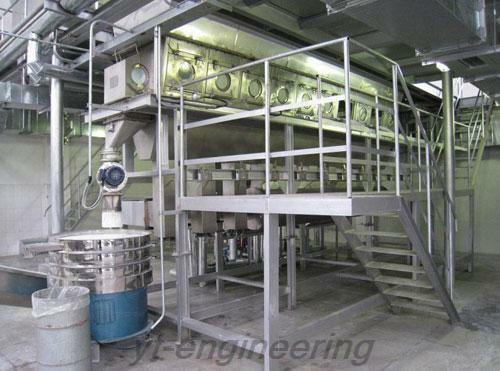 This fluidized dryer operates under closed negative pressure without any dust explosion. 2. Using anti-static filter materials, our fluidized drying machine operates safely and stably. 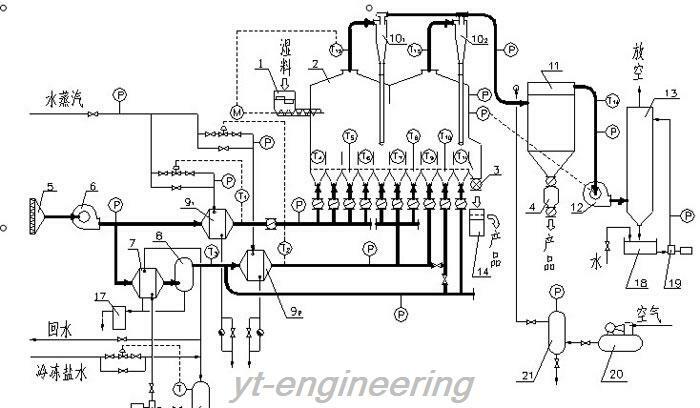 As a Chinese fluidized drying machine manufacturer and supplier, Yutong has vertical fluidizing dryer, high efficiency boiling dryer for your choice. We possess 10 professional engineering and technical personnel and over 100 sets of processing equipment. 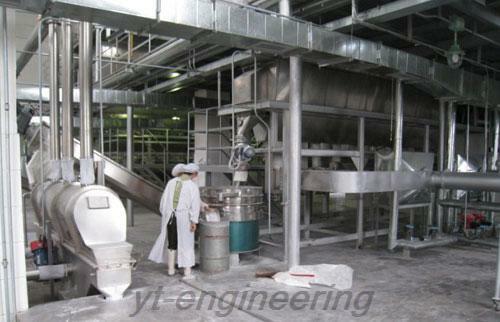 Over the years, Yutong makes efforts to the development and production of granulating machine, drying machine, grinding machine and blending machine. Fluidizing dryer as well as other machines must undergo a trial run in the workshop, and only those qualified products are allowed to leave the factory.